William Parker, the son of Edward Parker, 10th Baron Morley, was born in 1575. His mother was the daughter and heiress of William Stanley, 3rd Lord Monteagle. In 1589 Parker married Elizabeth Tresham, the sister of Francis Tresham. The family owned several properties including Hornby Castle and houses in London and Great Hallingbury, Essex. He also inherited the title, Lord Monteagle from his father-in-law. Monteagle, a Roman Catholic, was involved with Robert Devereux, Earl of Essex, in the failed attempt to remove Elizabeth I from power in 1601. Due to the minor role he played in the rebellion he was not executed and instead was fined £8,000. 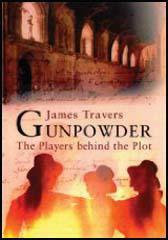 In 1605 Robert Catesby devised the Gunpowder Plot, a scheme to kill James and as many Members of Parliament as possible. Catesby planned to make the king's young daughter, Elizabeth, queen. In time, Catesby hoped to arrange Elizabeth's marriage to a Catholic nobleman. 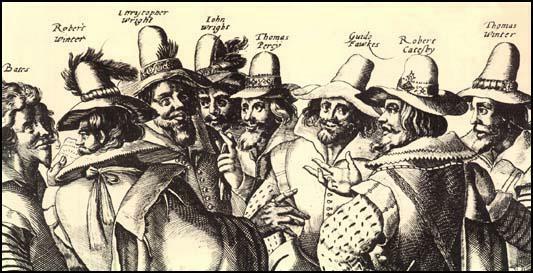 Over the next few months Catesby recruited Guy Fawkes, Francis Tresham, Everard Digby, Thomas Percy, Thomas Wintour, Robert Wintour, Thomas Bates, Christopher Wright, and John Wright to join the conspiracy. Catesby's plan involved blowing up the Houses of Parliament on 5 November. This date was chosen because the king was due to open Parliament on that day. At first the group tried to tunnel under Parliament. This plan changed when a member of the group was able to hire a cellar under the House of Lords. The plotters then filled the cellar with barrels of gunpowder. Guy Fawkes was given the task of creating the explosion. One of the people involved in the plot was Francis Tresham. He was worried that the explosion would kill his friend and brother-in-law, Lord Monteagle. On 26th October Tresham sent Lord Monteagle a letter warning him not to attend Parliament on 5th November. Lord Monteagle became suspicious and passed the letter to Robert Cecil, the king's chief minister. Cecil quickly organised a thorough search of the Houses of Parliament. 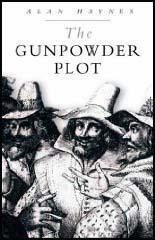 While searching the cellars below the House of Lords they found the gunpowder and Guy Fawkes. He was tortured and he eventually gave the names of his fellow conspirators. James I was very grateful to Lord Monteagle and gave him an annuity of £500 for life, plus lands worth a further £200 per year. Rumours soon began circulating that the conspiracy was really devised by Monteagle and Robert Cecil. It was claimed that Monteagle arranged for Francis Tresham to be poisoned while being held captive in the Tower of London. Lord Monteagle used the money to invest in the Virginia, East India and Northwest Passage companies. Monteagle also served as a member of the board of Virginia Company. William Parker, 4th Lord Monteagle, 11th Baron Morley, died at Great Hallingbury, Essex, on 1st July, 1622.